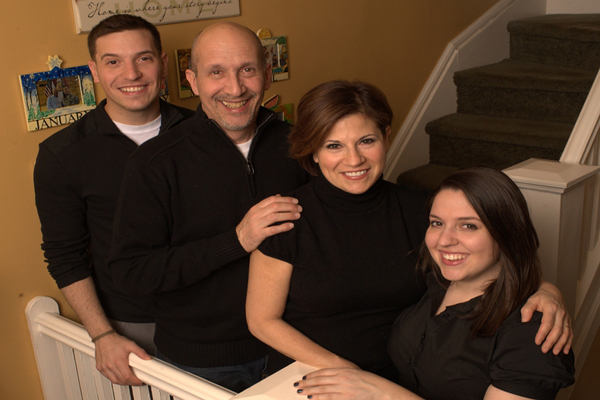 A few years after our children Michael and Noelle were born, the Parental Wisdom® concept was founded. Parental Wisdom® created a vehicle that offers parents the tools not just to become a better parent, but to become the expert in knowing their own children best. Knowledge is power - but the key is matching the right knowledge to the right child. It all started in 1989, I had a nineteen month old boy and was 13 months pregnant (perhaps a slight exaggeration) with my second child. In the world of parenting, I had no idea what I was doing. BC (before children) I felt pretty confident that I could learn and do anything. But this new experience was confusing even though I was the second eldest in a family of six kids and often watched over my younger brothers and sisters. 3. The saying goes, little kids, little problems...big kids, bigger problems. What would the future look like? And what would I do if my child did something I didn't want to share? Then where would I go for answers? Then it dawned on me that if we really believe our children are unique how could 'one size fit all' advice work? Think about it, each family is different in their values, beliefs, lifestyle...so how could there be a single right way to parent? And add greater challenges with external media and marketing influences. Parental Wisdom® is a proprietary database comprised of questions and answers reflecting multiple opinions from a pool of professional and sometimes practical advisors. The multiplicity of opinions approach is an intellectual property protected by U.S. Patents 6,193,518 & 6,482,012. I look forward to our ongoing conversation. To deliver a readily accessible, virtual parenting manual that presents diverse parental advice and information from a broad spectrum of highly respected advisors; allowing busy, capable parents to make their own well-informed decisions. To help parents raise good people so we have a better society. "This article first appeared on the Parental Wisdom® website www.parentalwisdom.com Used with their permission."